At a recent performance, the host made the mistake of introducing Adia Victoria as an Americana artist. Victoria leaned into the microphone with a correction, "Adia Victoria does not sing Americana, Adia Victoria sings the blues." From there, the artist let her guitar and powerful lyrics speak for her. After a self-released single that drew the attention of Rolling Stone and others, Victoria continued to dazzle and confound with her first studio album, Beyond the Bloodhounds. The album takes its title from a line in Incidents in the Life of a Slave Girl by Harriet Jacobs. Just as Jacobs sought to get beyond the reach of her master's bloodhounds, Victoria is always reaching beyond the facile notions of what a Black woman artist should look like and sound like. Instead of following the model of the folks that she saw around her who had been worn down by white supremacy, poverty, and oppression in the rural South Carolina town she grew up in, Victoria set off to shape a life of her own making. She dropped out of school and worked a series of odd jobs. At 18 she went to Paris and then spent time in Brooklyn, Atlanta, and now is based in Nashville. Victoria is a polymath who studied ballet, acting, wrote poetry, before finding a home in the blues. It was when a friend gave Victoria an acoustic guitar that things began to click. "I fell in love with the practice, the discipline of learning. It was the first time in my life that I felt capable of learning and progressing at something." According to Victoria, this practice was a lifesaver. "I don't know if I would be alive if I had not found that. Had I not found this outlet of expression. Probably in prison or dead." In the wake of Beyond the Bloodhounds, touring, press and enormous expectations a lesser artist would have just rested on her laurels. Instead, Victoria released two short albums that show the immense wingspan of her talent and curiosity. How It Feels is a French-language short album that reimagines French pop classics with a blueswoman's edge. Victoria returned to her roots with the EP Baby Blues, a trio of classic blues covers that first inspired her. 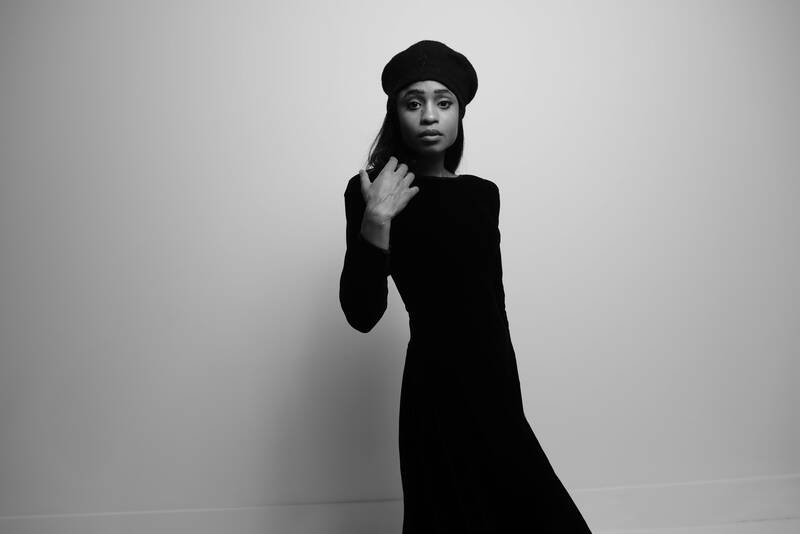 A mere two years after Beyond the Bloodhounds, Adia Victoria returns with her second full-length studio album, Silences. After a season of dealing with others trying to define, claim, and name her art and artistry, Victoria went inward. "I found when I went back home that the thing that disturbed me the most was the lack of activity. Having to deal with myself once again on an intimate level." Reading and literature helped her find her way back in. The title of the album comes from Tillie Olsen's Silences, which deals with the myriad ways that the stories of oppressed people's stories have been silenced over the years, even though they continued to create despite being ignored. "I struggled to write this album in a way that I never had to before. I took for granted I guess my freedom and my alone time and I felt that something had been taken away from me. And I felt like I didn't have a voice anymore. This album was the therapy that I needed to find that voice that had been silenced." We find a voice in full holler on Silences. The listener is thrust into a completely formed world that opens with a twisted creation tale. "Clean," is reminiscent of the story of the Garden of Eden, but instead of withering under God's judgement for her shame, our protagonist announces that "First of all / There is no God / Because I killed my God." This bold act instills in her "The kind of calm I hope to keep." Any student of stories or life knows that this is can only be the beginning. A calm so deep must be earned along the way. Silences is at its heart the mythic journey of a woman coming back to herself. "It's just very much this character is acting out from various oppressions. You've been held down, you've been smothered, and she reaches her breaking point." From this departure, the album moves her protagonist out into the world where she meets up with the devil and her own desires for her life in the uptempo rockers "Pacolet Road" and "Different Kind Of Love." In the next movement, we find a woman daunted and damaged but still resolved. Once we get to "The Needle's Eye" and "Cry Wolf" she's gained some well-earned maturity down in the dark of the world. In Silences, Victoria brings the topics of mental illness, drug addiction, sexism, and all the things that try to consume the very lives of women attempting to make a world of their own making to the forefront. The album closes with "Get Lonely," a plaintive, urgent ballad that our hero could be imploring to "get lonely" with a lover. Or she just as easily could be pleading with this new woman in the mirror that she has found along her journey to be still and marvel at all that she has created and survived. Just as Victoria has been intentional about creating the kind of life that she wanted to live, she's done the same thing with her collaborators. The band has changed a lot like Destiny's Child since the first album, to get the perfect presentation and I think I finally found it. Victoria's guys are Mason Hickman- Lead Guitar, Jason Harris- Bass, Peter Eddins- Keys, Timothy Beaty aka Knapps- Drums, Chazen Singleton- Horns, and Austin Wilhote aka Willé- Horns. "No. This is the greatest possession that I have. I have a bunch of guys now that I've been with and they allow me the ability and the space to command them, to direct them. They have faith in me." When it was time to record Silences with Aaron Dessner of The National who has also produced albums for Sharon Van Etten, Frightened Rabbit, Mumford & Sons, Local Natives, and more, Victoria remained hesitant. "I want to let you into my art, but I was so very, very cautious. And I just found that as a human being and as a fellow artist he had the warmth and the understanding and the respect that you don't come across too often in this industry. He opened his home and his studio to me and my guys and it was like there was no ego. We were just free to experiment and together and we got work done." With Adia Victoria's steady hand and fearless vision at the helm, Silences does indeed get work done. Of the recording process, Dessner notes, ""From the very beginning of our collaboration, it was clear to me that Adia's vision for this album had a cohesive and very particular narrative thread. It was incredibly rewarding to help realize it. The substantive nature of her writing and strength of Adia's lyrics really guided us through the entire recording process. Every sound and direction, whether subversive, experimental or leaning into a groove, it was all in service of her broader vision and the text. Ultimately, the album is both an incredibly personal narrative of Adia's journey and a powerful, broader statement of resistance.